There is a great documentary for Star Wars: The Last Jedi that shows star Mark Hamill and Rian Johnson at odds during the making of the movie. 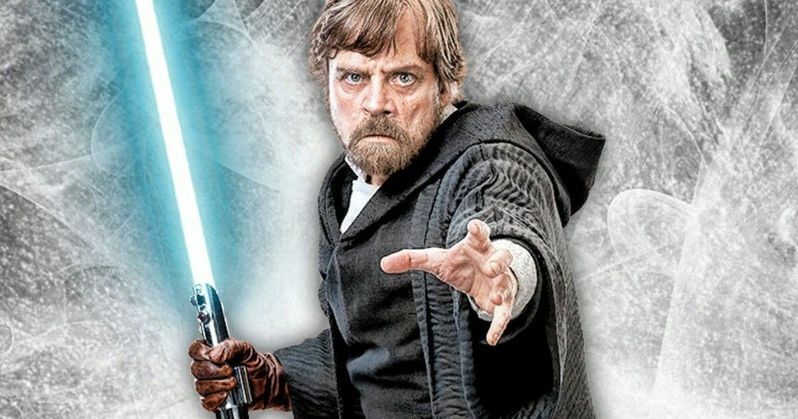 Like many fans, Hamill disagreed with the direction Luke Skywalker was going. And he made that quite clear in the press. Though, when all was said and done, he claimed to agree with Johnson for the most part. He certainly doesn't hate the finished movie, and today, he has revealed his favorite moment. And it's not hard to see why he chose this scene, as it's a favorite amongst all fans, whether they rally against the film as it stands, or not. It features one of the few times that we get to see the original trilogy All-Stars in the same scene together, with Mark Hamill and Carrie Fisher reprising their legendary roles as Luke Skywalker and Princess Leia. This is the only scene that they got to share, and it was filmed shortly before Carrie Fisher passed away in December 2016. The Last Jedi showed fans a different side to Luke Skywalker. He had gone into hiding, and was struggling with past regrets in regards to his nephew Ben Solo, who has become the nefarious Sith Lord wannabe Kylo Ren. One of the more touching scenes in The Last Jedi featuring Luke Skywalker was captured by illustrator Karen Hillion. Mark Hamill shared it on his Twitter. Thanks @Khallion for this beautiful interpretation of my favorite moment in the film! Mark Hamill calls the art a "beautiful interpretation of my favorite moment in the film! "The scene in question has Luke Skywalker via Force Projection, walking through the old Rebel base on Crait. He has arrived to help restore General Leia's faith in the Resistance. He gives her the iconic dice from the Millennium Falcon, kissing her on the forehead. Though it's all just a mind-projected hologram. The scene comes as a point of closure for these two characters. And is meant as a passing of the old guard. Related: Could Avengers: Endgame End Up Being the Next Last Jedi? The new art also serves as a touching tribute to Carrie Fisher, and is titled, 'No One is Ever Really Gone.' The quote comes directly from the scene in question. Directed and co-written by J.J. Abrams, Star Wars 9 reunites Daisy Ridley, Adam Driver, John Boyega, Oscar Isaac, Lupita Nyong'o, Domhnall Gleeson, Kelly Marie Tran, Joonas Suotamo, Billie Lourd, Keri Russell, Matt Smith, Anthony Daniels and Billy Dee Williams. Newcomers include Naomi Ackie and Richard E. Grant. The Force Will be With Us all when the movie hits theaters on December 20, just a few days before Christmas. This latest bit of insight comes direct from Mark Hamill's Twitter. Is Star Wars 9 Really Ditching These Last Jedi Characters?